Hearty congratulations on the terrific job you have done setting up the huge database on the Volunteers! This is the crucial information and you have made it very accessible, attractive and useful. I finally found an old friend of the family here at last. A splendid job! 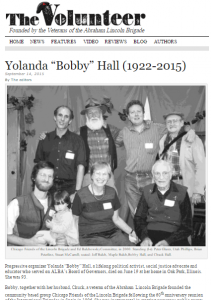 In the September 2015 issue of The Volunteer an obituary of Bobby Hall pointed out that in the 1960s Hall and Jeremiah Stamler “initiated a landmark and successful court case” against HUAC. You failed to mention the third member who walked out and sued HUAC: the vet Milton M. Cohen. 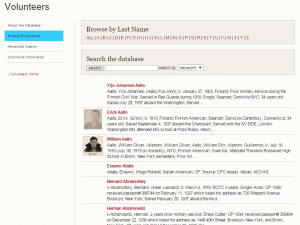 Milton Cohen was one of three uncles of mine who were in the Lincoln Brigade. The other two were Abe (Albert Lionel ) Harris and Joe Gibbons.